Hani completed his undergraduate training and master’s degree in the United Kingdom (bachelor’s degree at the University of Leicester and master’s degree at the University of Oxford) before completing his graduate studies under the mentorship of Dr. Evica Rajcan-Separovic at the University of British Columbia in Vancouver, Canada. During his PhD, Hani studied the contribution of germline genomic alterations to congenital anomalies. In the Bandopadhayay Lab, Hani contributed to efforts to study fusion proteins as oncogenic drivers in pediatric brain tumors. Fun fact: Hani fractured his skull twice when he was 5 from jumping on his parents’ bouncy bed and banging his head against the wall. Now as a grown-up Hani still has the temptation of jumping on beds—especially when he finds himself in hotel rooms with nice beds. Yohanna is an undergraduate student at Tufts University. She contributed to efforts to study PPM1D as a therapeutic target for DIPG. She is specifically interested in the effects of a truncating mutation in PPM1D as a contributor to cellular resistance to treatment, and in determining if this mutation in PPM1D is oncogenic in DIPG. Fun fact: Yohanna and Beyoncé share a birthday. Tricia received her BA from Williams College, where she majored in biology and music. For her undergraduate thesis, she studied the effect of sublingual immunotherapy on lung tissue-resident T cells in allergic asthma. In the Bando lab, Tricia studied mechanisms of drug resistance in pediatric brain tumors. She is currently a MD-PhD student at Columbia University. Fun fact: Tricia plays cello and piano. Fun musical moments have included a play where she was stranded alone with her cello on a stairless platform for three hours, an orchestra rehearsal briefly attended by Sting, and a wedding proposal at the top of a hill that almost happened until bad weather occurred. 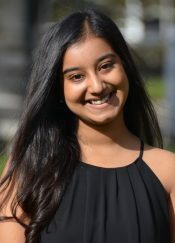 Spandana is a Junior at Brown University studying Neuroscience. She has spent the past year researching biomarkers of Alzheimer’s and its presentation in patients. She is interested in the transition of the brain from healthy to pathological and hopes to apply this to understand how pediatric brain tumors develop. Spandana completed a Summer Fellowship with the Bandopadhayay Lab during which time she studying therapeutic approaches for Diffuse Intrinsic Pontine Gliomas. Ryan received a Bachelor of Science in animal science from the University of Vermont in 2014. In the Bandopadhayay Lab, Ryan studied resistance mechanisms in pediatric brain tumors and contributed to efforts to develop novel technologies to track individual lineages of cells throughout treatments. Ryan is currently a Senior Research Associate at Casma Therapeutics. Raised in Hawaii, Travis completed his undergraduate studies at UC Berkeley, double majoring in Physics and Integrative Biology. He then went on to complete his PhD in the Biophysics program of Harvard University under the mentorship of Dr. Beroukhim, focusing on uncovering new cancer vulnerabilities predicted by copy number alterations using computational genomics. Travis completed his MD thesis in the Bandopadhayay lab, contributing to efforts to characterize the landscape of structural variants in pediatric High-grade Gliomas and Diffuse Intrinsic Pontine Gliomas. 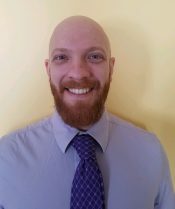 Travis hopes to continue to contribute to the field of oncology as a physician-scientist and is now completing residency at UCSF after graduating with his MD from the Harvard and MITs Health Sciences Technology Program. Fun fact: In his free time, Travis is an avid hiker and amateur gardener.